Photos of ghost apples are going viral —but what are they? These clear apples aren’t an optical illusion — here’s the real deal behind the viral photos. Nature is certainly capable of creating some pretty amazing things, and one resident of Sparta, Michigan, just happened to be in the right place at the right time to see one of the winter's most beautiful formations. Last week, Andrew Sietsema was pruning some apple trees after freezing rain had hit the area and while he was working, he snapped a few pictures of what he has since dubbed “ghost apples” — hollowed-out ice casings of apples that were never harvested. Sietsema, who manages a local orchard, told NBC affiliate WOOD-TV that the apples are of the Jonagold variety, "but we'll call these Jona-ghosts,” he said. He later told TODAY Food that he estimated the ice to be about 1/2-inch thick, and that the apples "felt like Christmas tree bulbs." So, how exactly does something like this form? Susan Brown, Herman M. Cohn Professor of Agriculture and Life Science at Cornell University, explained to TODAY Food that the flesh of some apples, especially those that remain on trees late after the harvest season, will decay into almost an applesauce-like consistency. 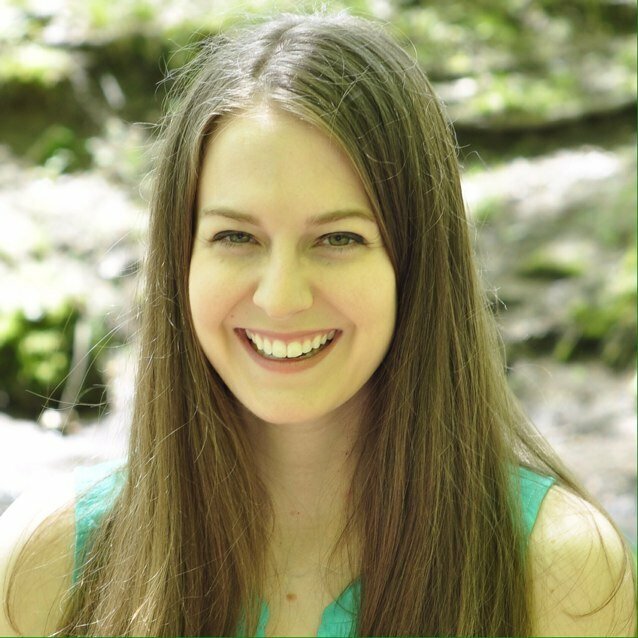 “The skin keeps it in like a filled water balloon,” she said. 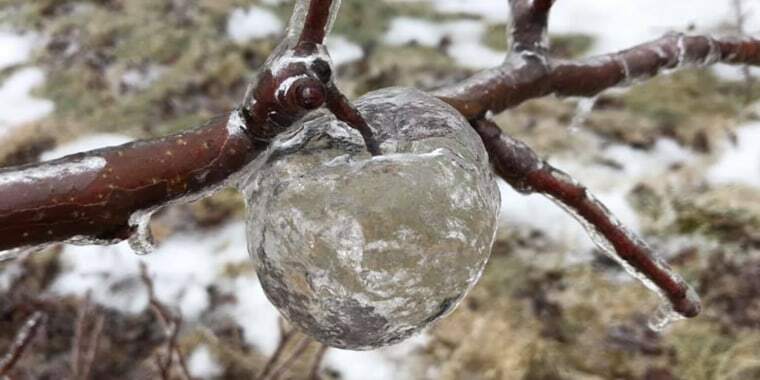 Due to a combination of freezing rain and prolonged subzero temperatures, ice initially encased the whole fruit, but then the rotted apple mush seeped out from the bottom of the icy sphere, leaving the detailed, hollowed-out impression of an apple. The wonders of nature never cease to amaze! Thank you for amazing information. While this may seem like a rarity, Brown (who herself hasn’t seen a ghost apple first-hand), said she’s heard from many researchers and growers that they have seen this occur before and that it’s most common with Golden Delicious and Jonagold apples. Jonagolds, known for their crisp flesh and tartly sweet flavor, are an offspring of the Golden Delicious. But how rare are these ghost apples, really? "I haven’t seen this phenomenon before, but I’m sure it’s happened before in other ice storms," Sietsema told TODAY. "And I mean, anything looks pretty cool with ice covering it."